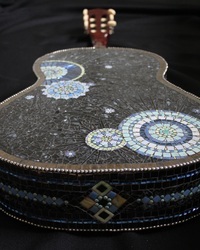 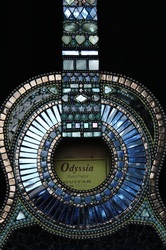 Made using ceramic tiles, colored mirror, mother of pearl, Van Gogh glass, ball chain and tempered glass on a real guitar as a base. 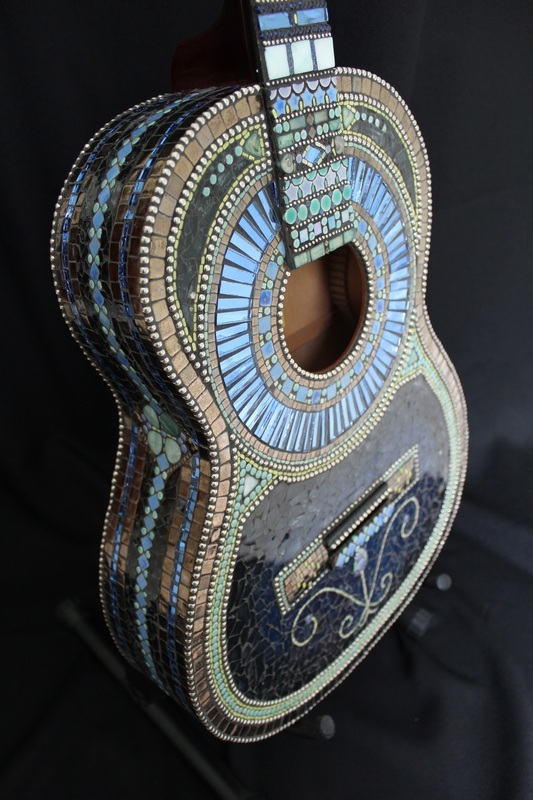 Presented to Mr. Larry Wigfall, orchestra teacher at Gregg Middle School. 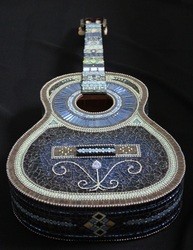 Featured in the Weekly Review on Contemporary Mosaic Art.